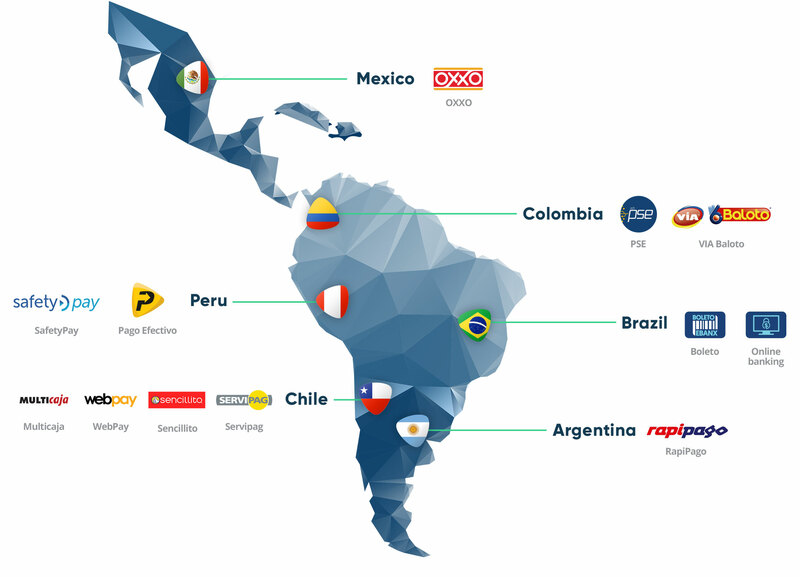 E-commerce in Latin America is in an early, booming phase. This growth is directly connected to the increase of internet and mobile penetration in LatAm, as well as the increasingly online presence of retailers and popularity of e-commerce channels and platforms. And it also has a lot to do with the presence of Black Friday inspired events in Latin American countries. Organized by the Chambers of Commerce, these online-only events were put into action to motivate customers to buy online. The majority of them is held in November, the global month of shopping. People often use these outstanding promotions to anticipate their holiday shopping, adding even more strength to the dates. Cyber days have been a major success in Latin America. Only last year, combining these events in Brazil, Mexico, Argentina, Chile, Colombia and Peru, a total amount of around USD2.4 billion in ecommerce sales was generated. Brazil’s Black Friday and Mexico El Buen Fin were responsible for more than half of the figure. Also, all of these dates have a good growing perspective for the next years. Even with an increasing internet access and more purchase power than ever, Latin Americans are still surprisingly reticent about buying online, which keeps e-commerce from growing even faster. A considerable part of the Latin American population still prefers shopping in person rather than using the internet to do it. The main reason for this to happen are lack of trust and fear of fraud. Since it is a new process for them, many Latin Americans, particularly the ones from older generations, believes that e-commerce doesn’t offer neither security or protection. Yet, this lack of trust in online shopping is not absolute, and that’s where Cyber events come in. When huge discounts on a wide range of items are offered, customers hardly will lose the opportunity to make the purchase of an item they’ve been craving for a long time, even if it means they’ll have to shop online. And that’s the beauty of these Cyber events; the frenzy takes over, inhibiting negative thoughts and raising awareness about the benefits of online shopping. By establishing periods when online discounts (often greater than the ones in physical stores) are offered are all together, these cyber campaigns create a lot of expectation and traffic, helping online stores to positionate themselves among the Latin American population, increasing sales and converting physical buyers into brand new online shoppers. Because of all this, these Cyber Days are very important since they help to educate consumers about online shopping, showing them how easy and safe it can be. It’s almost like giving them a taste of it; odds of them wanting to shop online again, after seeing it works just fine, are huge. A study made by the website LoEncontraste.com, revealed that, in Colombia, 89% of Cyber events’ buyers consider discounts the main motivator for shopping online.